Healing Sun Gate: approx. 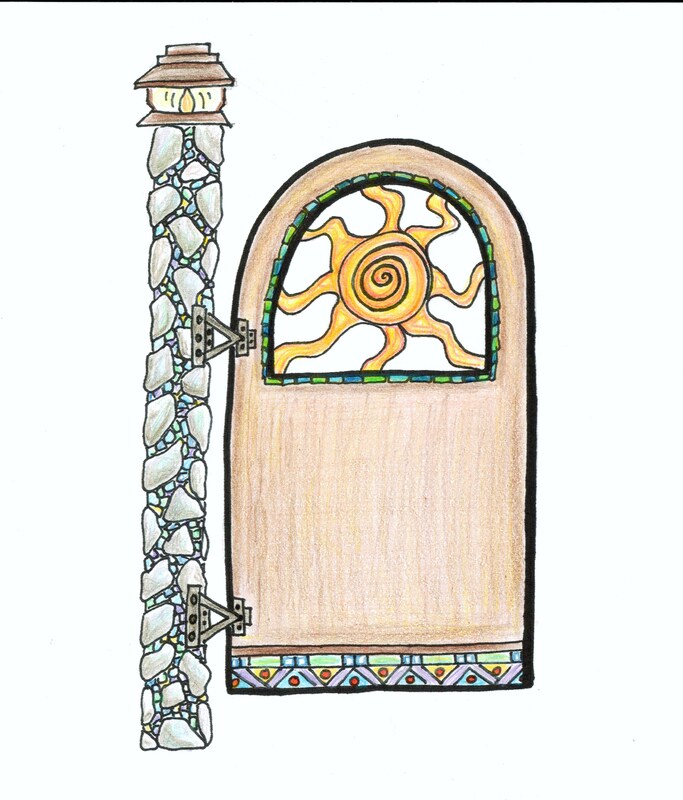 60″ H x 30″W, stone mosaic solid post with solar light cap. Wood door, jigsaw cut sun design with gaps between sun rays, mosaic border around cut design, decorative bottom trim carved and painted or mosaic. -All materials are per client needs and budget. This gate’s estimated beginning cost is $1,800. Once materials are sought per client needs this base price may increase. I am always in process of designing and or building new work. Now available for public viewing are some beginning plans for a few gates I will begin building soon. 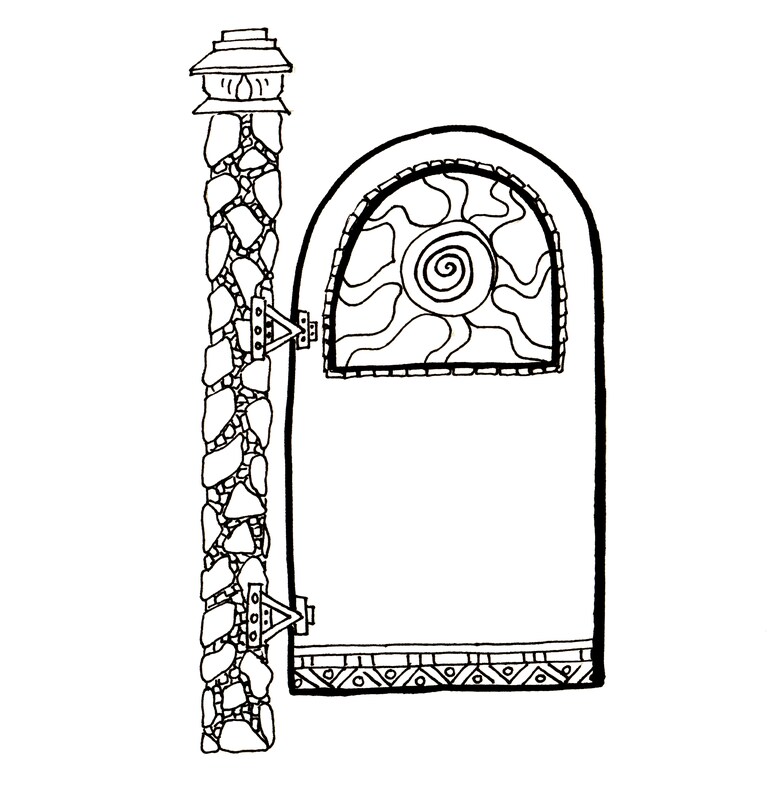 Here you see the sketch for the garden gate, Healing Sun.